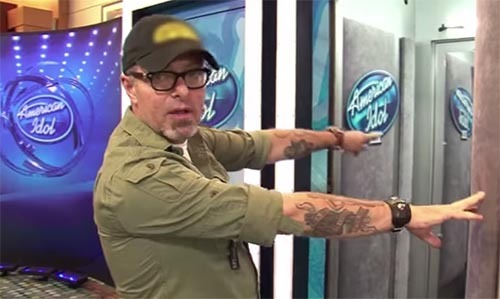 American Idol season 14 will be returning in 2015 — and already we’re gearing up for the show’s anticipated return with new promo videos and behind-the-scenes sneak peeks into how the popular competition is produced. In a recent promo, Senior Supervising Producer Patrick Lynn takes fans of the show on an enlightening tour in Nashville, which he says is an unbelievable hotbed of talent. During the clip, we see everything from “the chamber” where contestants wait before entering the judging room to the station where Ryan Seacrest watches the talent inside the studio. It truly is amazing how much goes into the show behind the scenes, and people often forget about the countless people who work on the production crew. Without them, well, there simply wouldn’t be a show. WHO: Men and women 15-28 years old as of June 1, 2014, who are eligible to work in the U.S. Some restrictions apply – please read the Live Audition Info for specific information. WHERE: Cow Palace, 2600 Geneva Ave., Daly City, CA 94014 HOW: Wristbands will be distributed beginning at approximately 7:00 AM on Monday, September 29. Auditioners will not be permitted to camp out and may not line up before 6 AM. Soon after they receive their wristbands, they will be told to enter the arena. Who Won American Idol 2014 Season 13 Finale: Caleb Johnson Winner – Jenna Irene Runner-Up!